1. Whisk together dry ingredients and then add in wet ingredient. 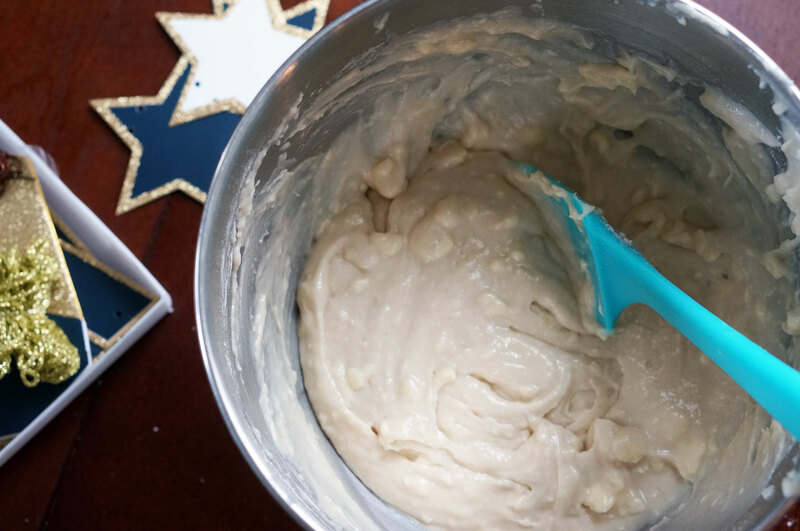 Blend together using a mixer, but be careful not to over mix. 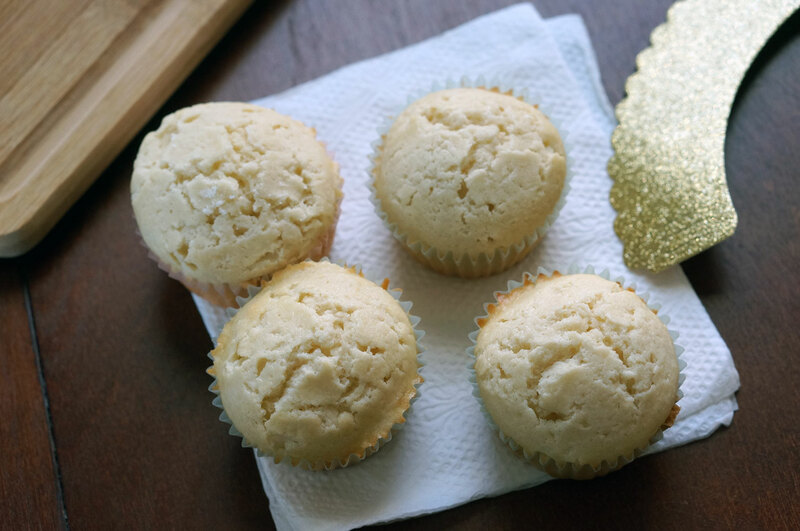 It is ok if there are some butter chunks left in the batter, just make sure that they are small. 2. 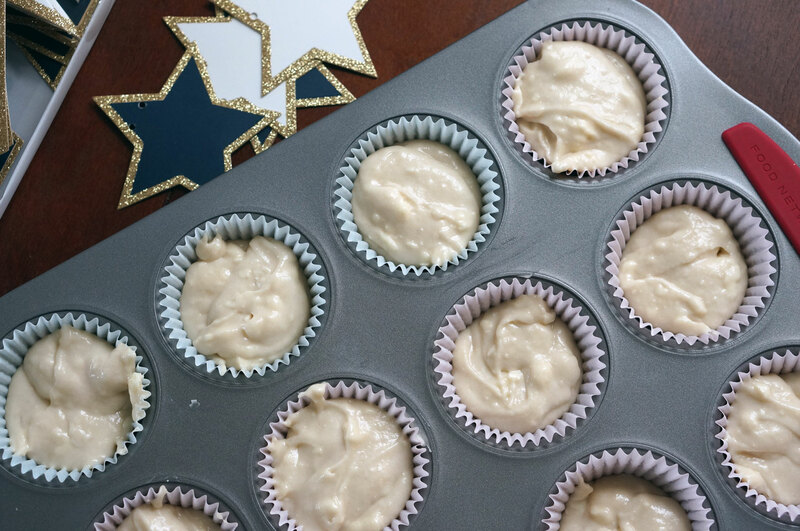 Fill your cupcake pan. 3. Bake at 350 degrees for 18 minutes or until a toothpick comes out clean. Let cool. 1. 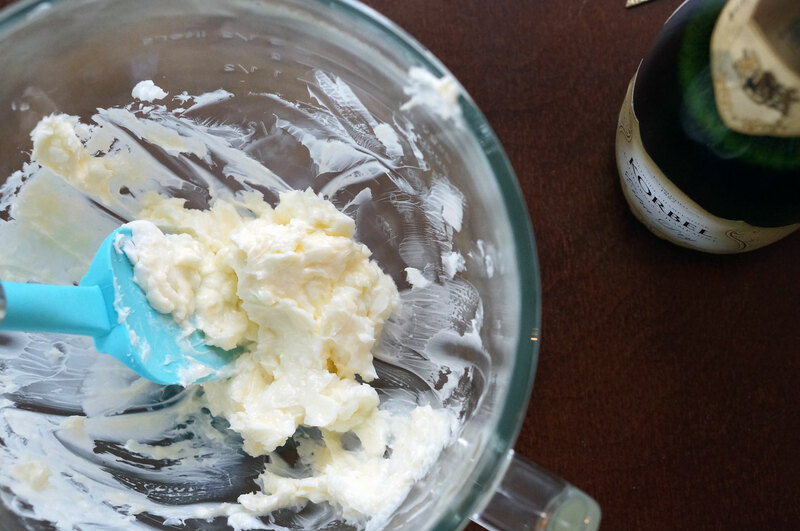 Mix together butter and shortening with spatula. 2. Using a mixer add in 2 cups of powdered sugar and blend for about a minute. 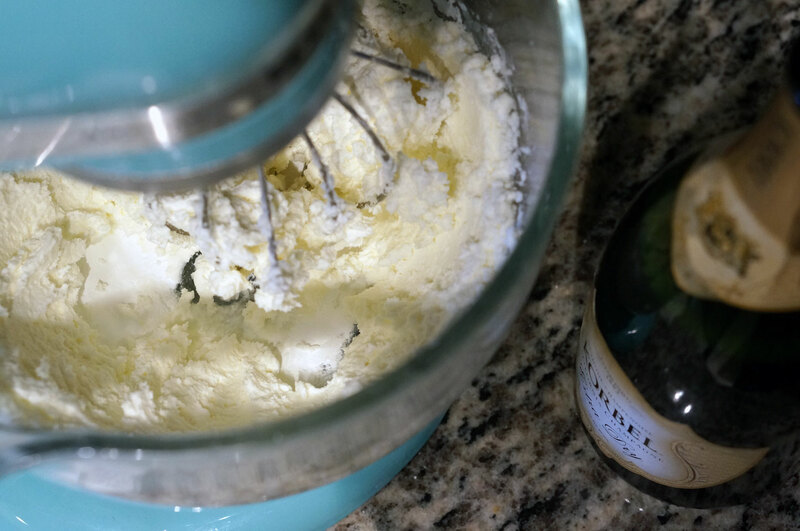 Then add 4 tablespoons of champagne and continue blending. Add one more cup of powdered sugar and blend for at least 2 minutes. 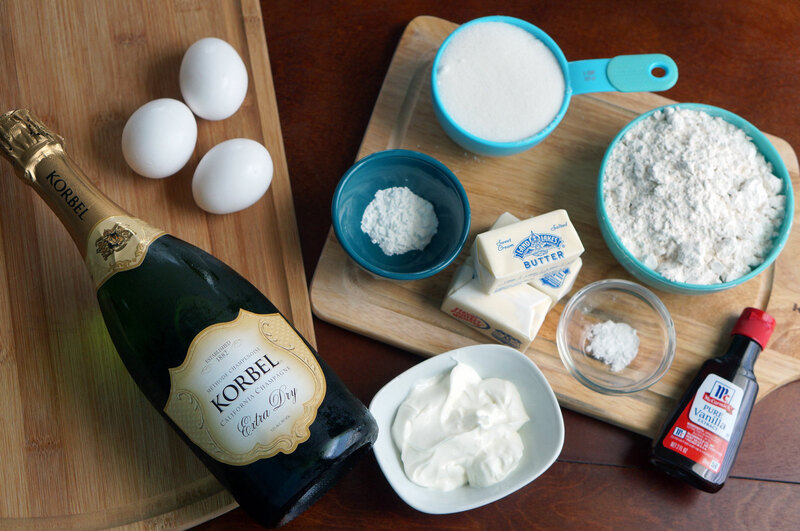 Add remaining powdered sugar and champagne until the icing is the consistency that you would like. 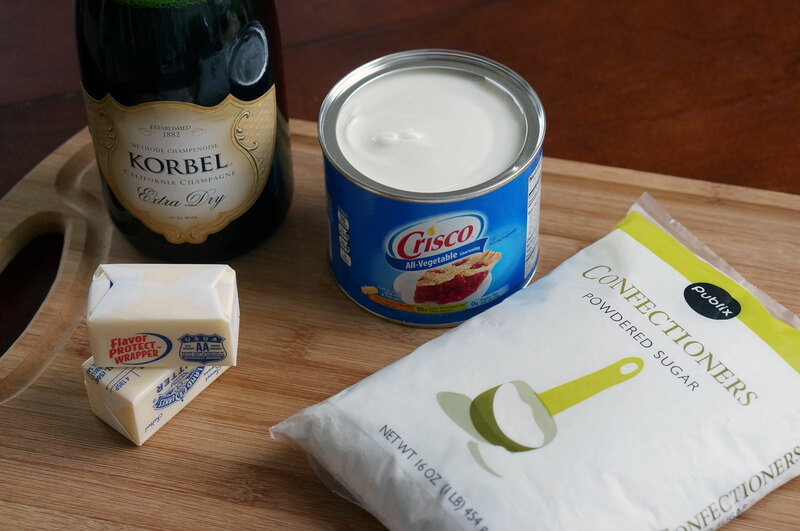 (If too thick add more champagne, and if to thin add powdered sugar). 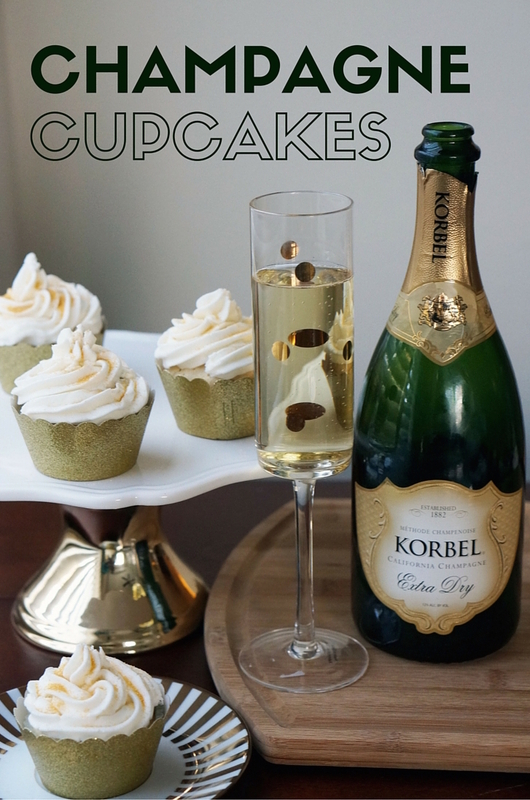 Ice your cupcakes and enjoy the champagne/sugary deliciousness! 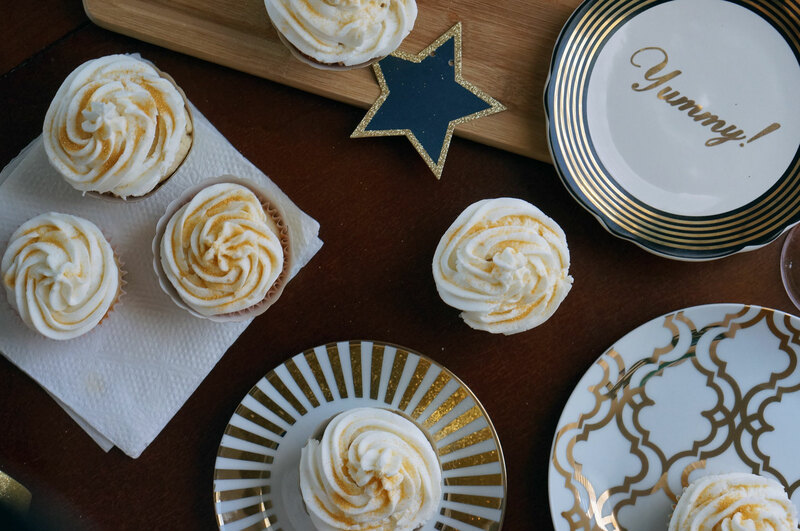 I was so happy with how these turned out and they were a huge hit at my New Year’s Eve Party! 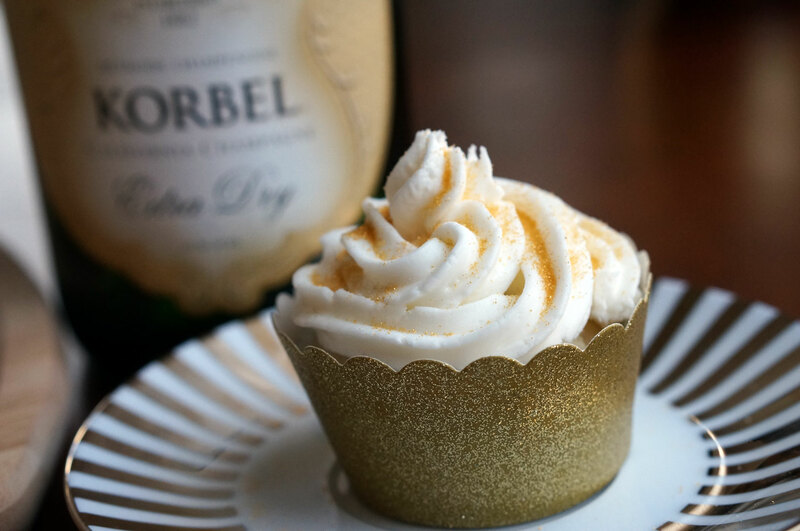 You could really taste the champagne, and the gold cupcake liners made them look adorable. 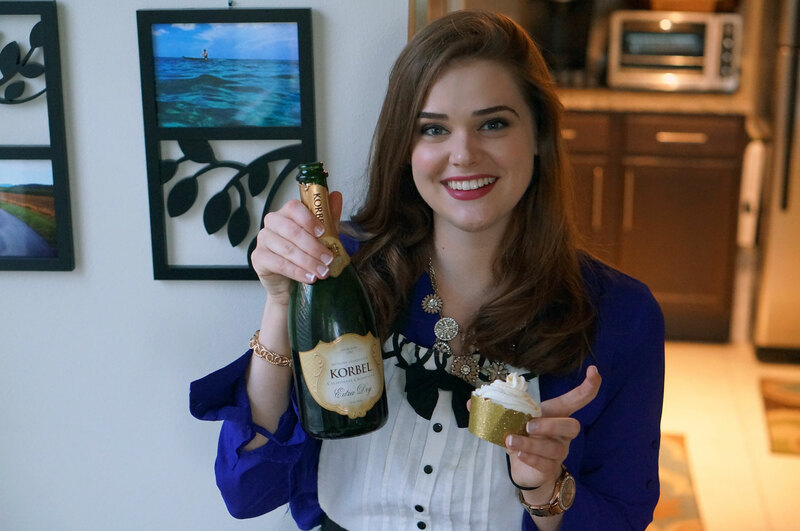 Hope you all had a wonderful New Year’s, and if you try this recipe out make sure you let me know what you think! Wow too pretty to eat! They look great. Wow. Very yummy looking. I’ll have to try making these. Thanks for sharing.